The High Court has taken the unusual step of making the documents public before a decision in the case. Ms Shoesmith is taking action against Children's Secretary Ed Balls, Ofsted and Haringey Council over her sacking. 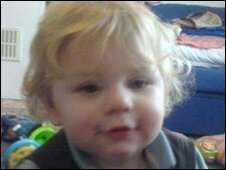 There have been claims, denied by Ofsted, that an inspection report was re-written after the toddler's death. The High Court judge has taken all the evidence in the case but his verdict is not expected until after Easter. The former head of Children's Services at Haringey claims she was removed from her post unlawfully and is seeking damages. The judge hearing the judicial review has released 1300 pages of documents given to the courts by the various sides, including those relating to the Ofsted report into Haringey Council, written submissions and statements from witnesses. This follows a request from media organisations, including the BBC. 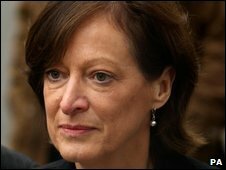 Ms Shoesmith, 56, was dismissed from her post as children's services chief at Haringey in December 2008, following a damning report from Ofsted which concluded there was "insufficient strategic leadership and management oversight" in the safeguarding of local children. Mr Balls rejected the claims in his submissions to the court and said as secretary of state, he had been given "broad" powers to intervene when he judged local child protection arrangements to be inadequate. He sent Ofsted inspectors into Haringey in November 2008 after the trial of those responsible for the death of 17-month-old Baby Peter Connelly. The BBC's Social Affairs Correspondent Alison Holt says she understands the papers contain the various drafts of the Ofsted report. "After the judicial review hearing was finished, Ofsted disclosed more documents. They were given to the court," she said. "They included drafts of the damning report that came after the Baby P case." The judge re-opened the judicial review in November after the disclosure of the documents.